Doing laundry seems like a pretty straightforward task — you have items that need to be washed, you throw them in the washer, pour in some detergent and softener, change your settings, and hit the start button. 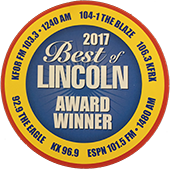 In fact, many of us have been doing laundry since we were young and our parents started making us do chores, but did you know there are many common things we all do while doing laundry that are actually damaging our washing machines? 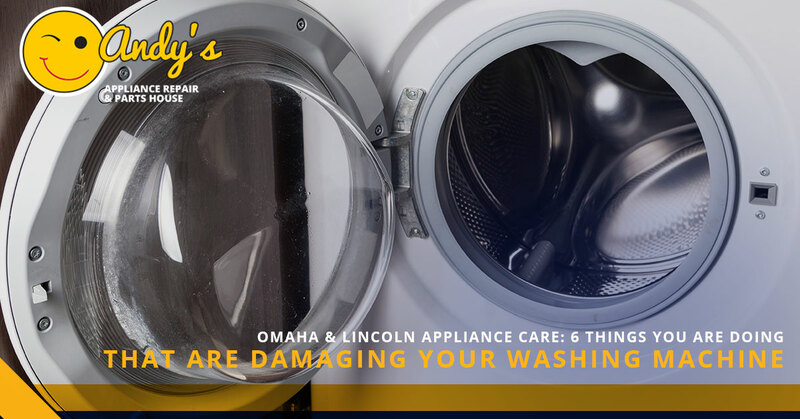 In today’s blog, your appliance care experts at Andy’s Appliance Repair serving Omaha and Lincoln are here to share common mistakes to save you from an expensive washer repair. Appliance care tip #1: STOP overloading your washing machine. We get it. Piles of laundry are never ending and it can seem very convenient to pack your washing machine to its max in order to limit the loads of laundry you have to do — but don’t! Wet clothes are very heavy and the extra weight can damage your machine’s motor. Not to mention, packed washing machines make it difficult for the detergent to reach all of your clothes, so not all of your clothes will get clean — eww. Appliance care tip #2: STOP using too much detergent. While you may think the more laundry detergent you use, the cleaner your clothes will be, stop filling your laundry dispensers to the max. Too much laundry detergent can lead to soap scum buildup and mold which can cause your clothes to smell and even leave dark spots on your clothing. Appliance care tip #3: STOP running a load of laundry without checking your pockets. Quarters, bobby pins, and pens, oh my! The common objects in your pockets can cause major damage to your washing machine. Not only can they dent the drum, but they can also block vents and drain pipes. Appliance care tip #4: STOP washing your lingerie without a wash bag. Lingerie has many hooks and wires that can cause damage to both the inside of your washing machine and your clothes. 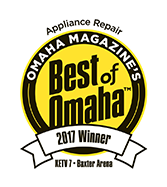 These wires can also get loose and become trapped in your washer’s vents and drain parts, which can lead to draining issues and other washer problems. Appliance care tip #6: STOP ignoring your washing machine — it needs to be cleaned, too. Yes, you need to clean your washing machine. Your washing machine is the perfect breeding ground for all kinds of germs and bacteria that are detrimental to your health — and just plain disgusting. Build up of these unwanted microbes can cause your machine to work inefficiently, causing your clothes to smell. We hope these appliance care tips help prolong the life of your washing machine! 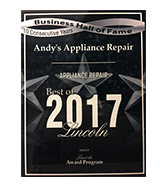 If you have any questions or are in need of a washer repair in Lincoln or Omaha, contact Andy’s Appliance Repair today! 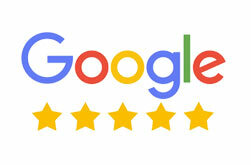 We look forward to taking care of your washer repair needs.